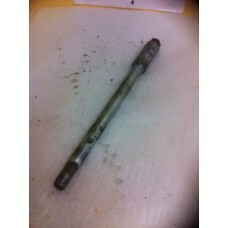 THIS IS A REAR SHOCK FOR A GZ 125 MARAUDER,NOT TOO PRETTY BUT IN GOOD WORKING ORDER , SOLD INDIVIDUA..
GOOD GENERATOR ,CAME OFF A RUNNING BIKE..
CHAIN ADJUSTER TO FIT A MARAUDER 125 ,WE MAY HAVE MORE OF THESE PLEASE ASK..
clutch cable to fit a marauder 125.. 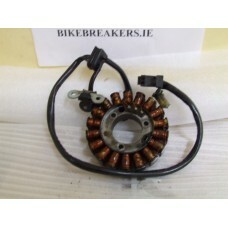 THIS IS A WORKING COIL FOR A MARAUDER 125.. 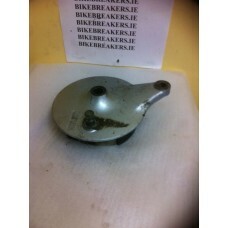 FLASHING UNIT 7 PIN TO FIT A MNARAUDER 125..
MARAUDER 125 FRONT SPROCKET COVER IN GOOD CONDITION..
FRONT WHEEL ,CHROME S NOT GOOD ON THIS ONE ,HENCE PRICE ,,BUT IT DOES HAVE A DISC ON IT.. 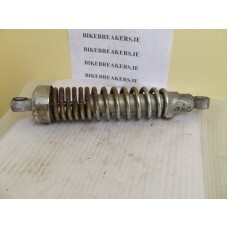 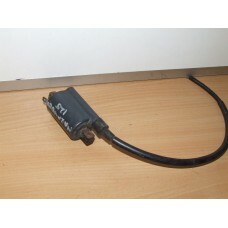 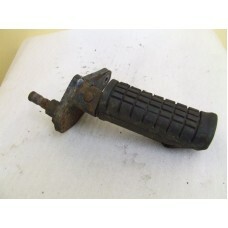 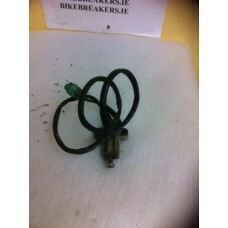 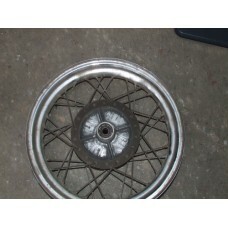 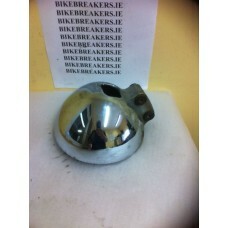 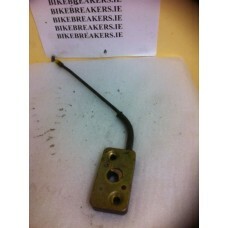 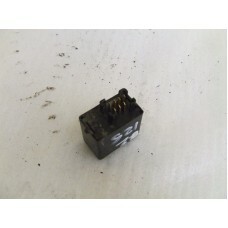 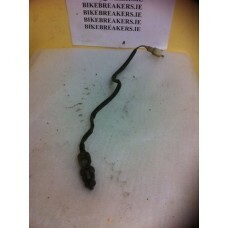 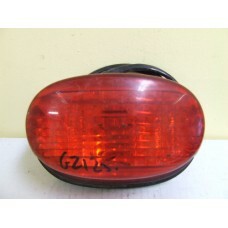 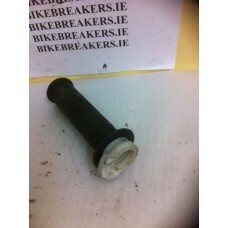 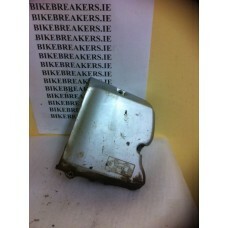 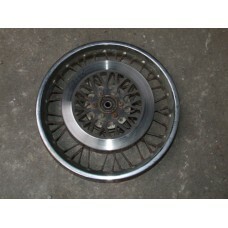 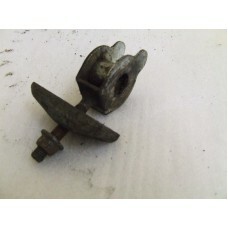 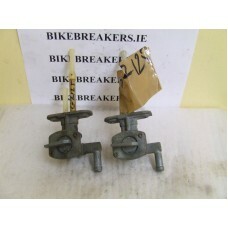 THIS IS A FUEL TAP TO FIT A GZ 125 IN GOOD CONDITION ,MAY FIT OTHER MODELS AND YEARS ,SOLD INDIVIDU.. 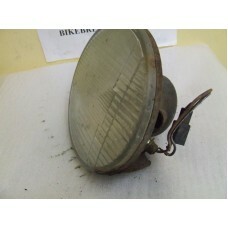 THIS IS THE HEADLAMP GLASS UNIT ONLY ,THE REFLECTOR IS A LITTLE FADED ,BUT STILL VERY FUNCIONABLE,H..
LEFT SIDE HANDLEBAR SWITCHES IN GOOD CONDITION.. 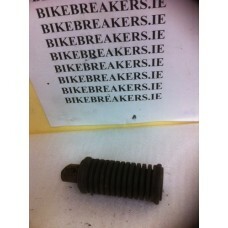 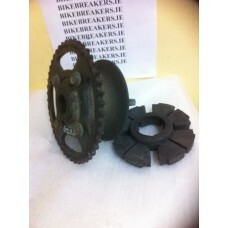 PASSENGER FOOT PEG TO FIT A MARAUDER 125 ,RIGHT OR LEFT..
REAR AXLE WITH CHAIN ADJUSTERS TO FIT A MARAUDER 125 CAN BE SOLD WITHOUT THE ADJUSTERS..
REAR BRAKE LIGHT SWITCH IN WORKING ORDER..
REAR SPROCKET COMPLETE WITH CUSH DRIVE RUBBER IN GOOD CONDITION..
REAR WHEEL TO FIT A MARAUDER 125 /GZ 125..
RIDERS LEFT FOOT PEG WITH BRACKET.. 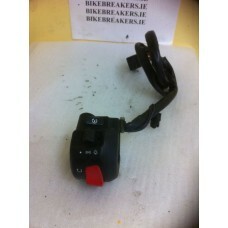 RIGHT SIDE HANDLEBAR SWITCHES IN GOOD WORKING ORDER..
SEAT LOCK CATCH AND CABLE..
GOOD WORKING ORDER SIDE STAND SWITCH.. 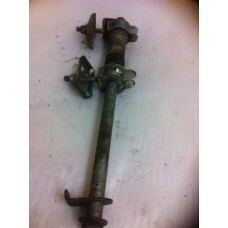 SWING ARM SPINDLE FOR A MARAUDER 125..
TAIL LIGHT UNIT TO FIT MARAUDER GZ125 IN GOOD CONDITION ,NO CRACKS IN LENS OR BASE.. 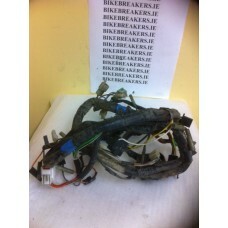 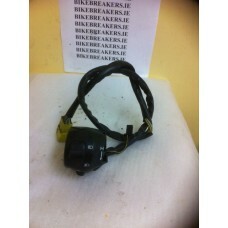 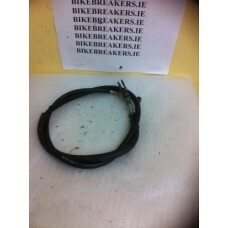 COMPLETE WIRING HARNESS TO FIT A MARAUDER 125..
THROTTLE TWIST GRIP TO FIT A MARAUDER 125..